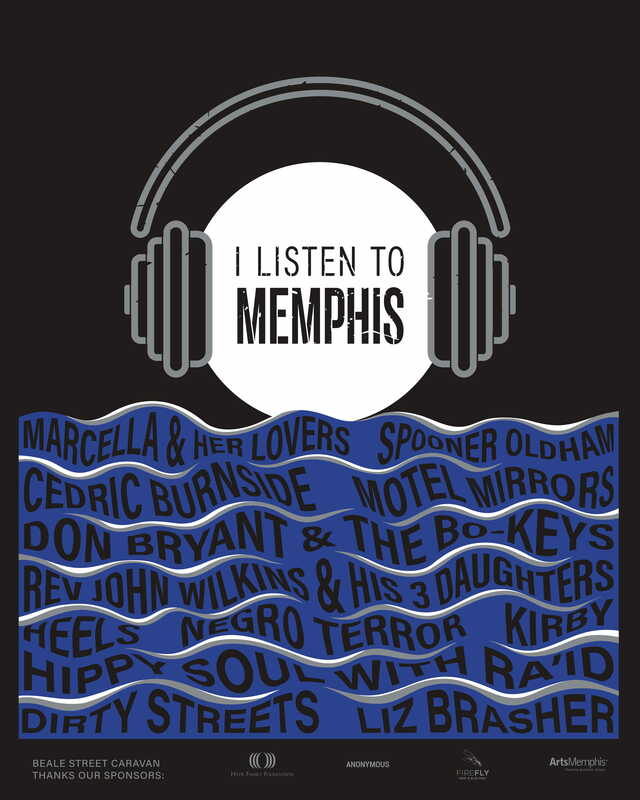 Join I Listen to Memphis! I Listen to Memphis (ILTM) expands our work from public radio to new media by placing Memphis’ artists at center stage. This weekly video series supports Memphis music, the musicians who make it, and the places and culture that fuel it. How do you become an ILTM member? You can join the I Listen to Memphis donor group anytime by making a suggested donation of $50 or more. As an ILTM member you will receive a commemorative screenprint, access to ILTM season 1 videos before public release, a 25% discount to ILTM merchandise, and access to ILTM donor parties and shows. Your contribution, together with dollars from corporate supporters and sponsors, will empower us to continue the ILTM program. How are your dollars spent? Your generous gift will directly impact our mission to celebrate the culture of Memphis by sharing our music with our city and the world and helping fund Season 2 of I Listen To Memphis. We are grateful to out sponsors, Anonymous, ArtsMemphis, and Hyde Family Foundation for launching ILTM from concept to reality.